Fire Emblem: Three Houses will launch on July 26, Nintendo revealed during today’s Direct presentation. The July launch is a slight delay, according to Nintendo. “The game was originally announced for spring, but more development time will be necessary,” said deputy general manager Yoshiaki Koizumi during the Direct. 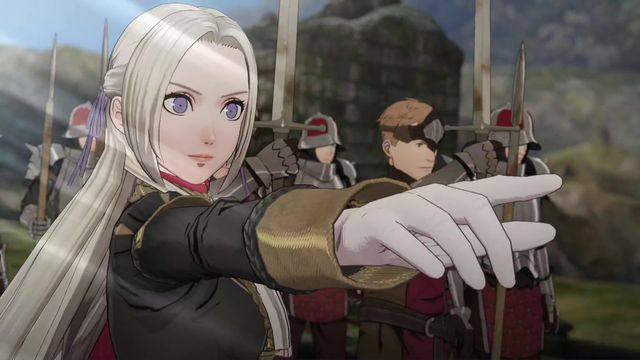 In Fire Emblem: Three Houses, players will assume the role of a customizable mercenary whom they can name and customize. The trailer introduced both this character and several others who factor into the storyline. The game takes place on the continent called Fodlan, with regions ruled by three separate kingdoms (hence, three houses). These competing homes lived harmoniously after years of war. But now, in Three Houses? No longer the case. The character meets someone named Sothis as they journey with their father to a monastery, which lives in the center of the region and employs the player character to help teach others. Sothis is a spirit that represents the Church of Sothis, where the monsastery is based and plays home to students from the diverse houses. The player chooses to lead and teach the students of just one of these houses, according to Nintendo — meaning we’ll have a big choice to make, as the player will lead his or her students in battles across the land. The upcoming Switch game marks the return of Intelligent Systems’ strategy RPG series to consoles. A Wii entry launched in fall 2007; the series has since lived exclusively on handheld systems. Fire Emblem: Awakening on Nintendo 3DS helped popularize the fading series worldwide, reinvigorating sales and leading to near-annual entries.